As people's living standards improve, the requirements for lighting quality increase correspondingly. The lighting systems must not only strive to achieve energy-saving, environmentally-friendly, and high efficiency, but being comfortable, flexible, and human-oriented. With the development of information network technology, the KNX bus technology is becoming more and more mature, which has promoted the development of the intelligent building industry. Under these preconditions, the concept of "intelligent lighting control system" emerged. The architecture of the system consists of a power supply that supplies the KNX bus. 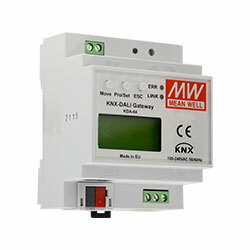 The KNX switch actuator is used to control the LED driver. If dimming function is required, an optional dimming switch actuator with a dimmable LED driver is expected. 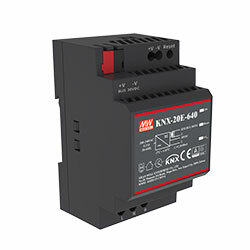 To meet the above application demands, MEAN WELL developed KNX bus power supply “KNX-20E” and “KNX-40E”. 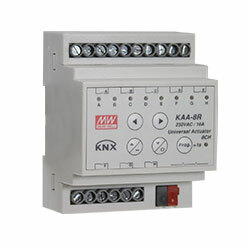 KNX universal actuator has “KAA-8R”. 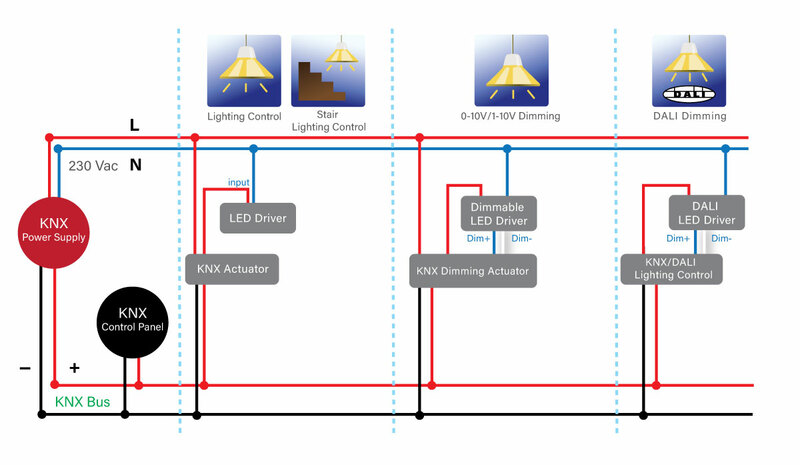 KNX LED actuator/dimmer has “KAA-4R4V”. Regard to LED drivers, MEAN WELL has developed a variety of products, so customers could refer to MEAN WELL LED driver solution website for more selection according to the application.